This Amboseli picture gallery probably makes clear why so many travelers report falling in love with Kenya… Amboseli is the second most popular wildlife park for safaris in Kenya, and because it is relatively close to Nairobi and Masai Mara, many tourists include these two parks in one initerary. That’s why the park can be crowded in the main tourist seasons (July-August and December-January). 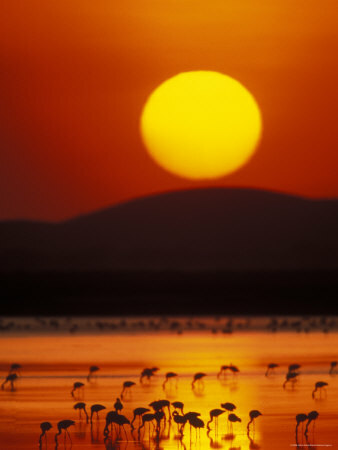 Above: Flamingos are not only in Lake Nakuru (which is famous for them), but also in Amboseli. Above: This is a typical Amboseli image: grazing animals with the Kilimanjaro mountain (Africa’s biggest mountain, which is just across the border in Tanzania) on the horizon. 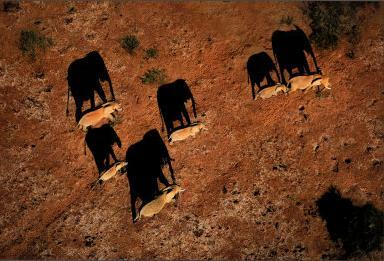 Above: Like Tsavo East, Amboseli is especially elephant country. From the Observation Hill inside the park, you’ll have a great view over the elephants and the swamps. 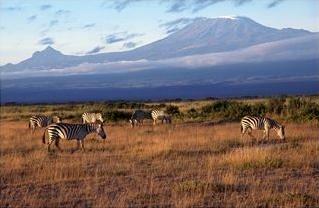 Above: Amboseli is known for it’s wide plains, which make wildlife spotting easy. In parks with more dense vegetation, animals tend to hide in the bush so you don’t see them. 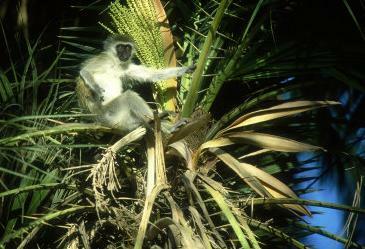 Above: A vervet monkey in Amboseli. These monkeys can be very naughty and tend to favor expensive electronic gadgets – so watch your camera equipment and if you camp in the park, close your tents well! Above: The Masai are the main inhabitants of Amboseli National Park. Together with the Turkana and Samburu peoples, they have largely held on to their ancient customs. 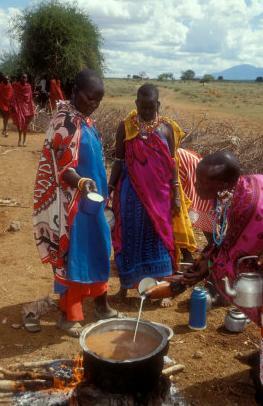 Here are Masai women preparing a feast meal for a wedding. 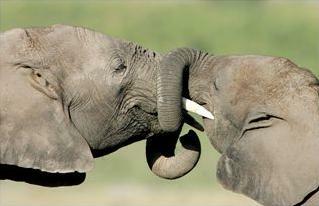 Above: Ah… aren’t they sweet… Two elephant calves hugging each other. 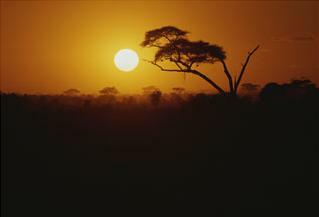 Above: Sunset in Amboseli can be one of the prettiest things you’ve ever seen. Above: The plains of Amboseli – you can just see the Kilimanjaro summit appear above the clouds. 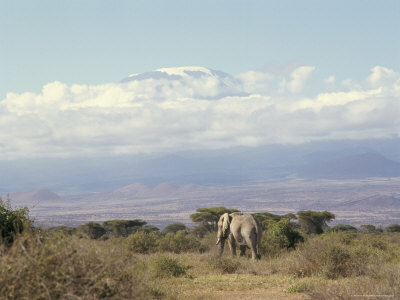 The Kilimanjaro can be seen on the horizon from most places in the park – if it’s not covered in clouds. 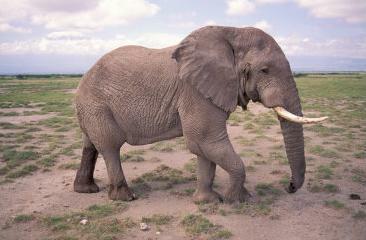 I hope you liked this Amboseli picture gallery... These photos are provided in association with Allposters.com who in my view have the best collection of Kenya images available on the internet.